1.How long is the Licence course? The course goes for 4 hours. There is a very interesting power point session and many boating videos to explain all the rules and regulations in everyday terms. This lasts about 3 ¼ hours. The remaining ¾ hour is for the tests. 2. How old must I be? 3. How much does the Licence course cost? The cost of the General and Restricted Licence Course is $120, as the both the course and the testing is the same. PWC (JetSki) Endorsement Only $80 – for those who already have a General Marine (Boat) licence. 4. What does the testing consist of? There are two tests available at the end of the course. The first is the Marine Boat Licence Course test, then, once passed, and if required, the second is the PWC (JetSki) Endorsement. 5. What do I need to bring to the course? Just bring CASH or CREDIT CARD for the course fee and your IDENTIFICATION. That’s all, — we supply pens, notepaper, handbook, and tea / coffee. 5. What Identification do I need to bring to the Course? In summary, it is your DRIVER’S LICENCE. If you do not have a drivers licence, then you need two forms of identification. 7. Do I get the licence at the course? No. Once you have passed the tests, you will be handed a Transport Safety Victoria Certificate. You must take this certificate to VicRoads to get your licence. 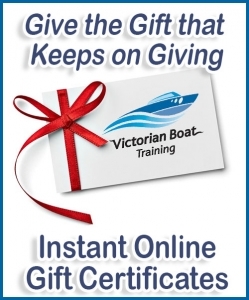 NOW you have your VICTORIAN MARINE BOAT LICENCE. 8. What are the fees to be paid at VicRoads? The fee for your licence is for a 5 year period. After that you can renew licence in a way similar to your car licence. 9. How long does the certificate last? 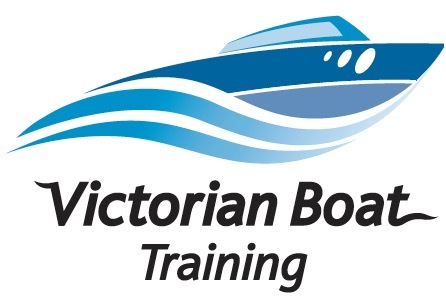 You must go to VicRoads within 12 months from the date you attended our course, as printed on the certificate. 10. What happens if I don’t pass the test? If this should happen, then you will be given a second test. If you are unsuccessful with the second test also, then you can attend any of our courses FREE of charge. 11. Can you come to our house to run a course for our friends?